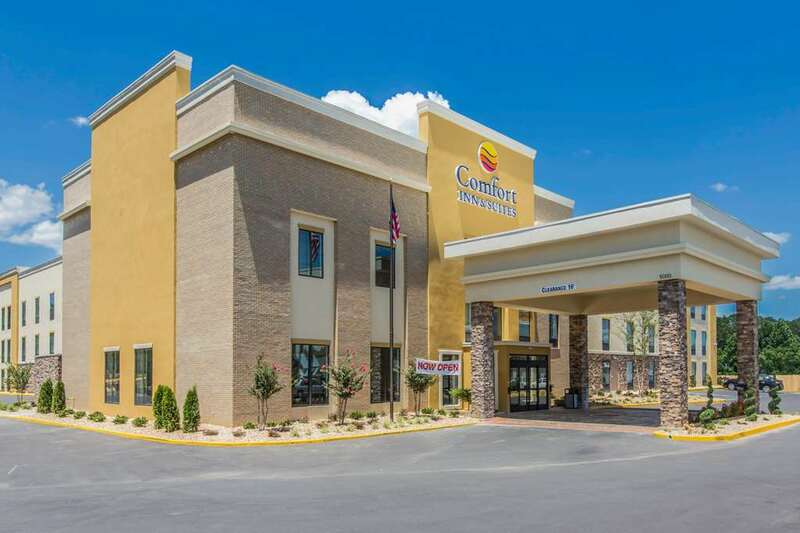 The smoke-free Comfort Inn and Suites West hotel in Macon, GA near Macon Mall and other shopping venues will get you rested and ready for anything. We are conveniently located off Interstate 475 near Historic Downtown Macon, several restaurants and attractions like Middle Georgia State College, Anderson Conference Center, Mercer University and Georgia Sports Hall of Fame. Amenities you can count on include free hot breakfast, free WiFi, meeting rooms, a business center, exercise room and indoor pool. All rooms are equipped with premium bedding, microwaves and refrigerators. Earn rewards with every stay with our Choice Privileges Rewards program. No Pets Allowed.